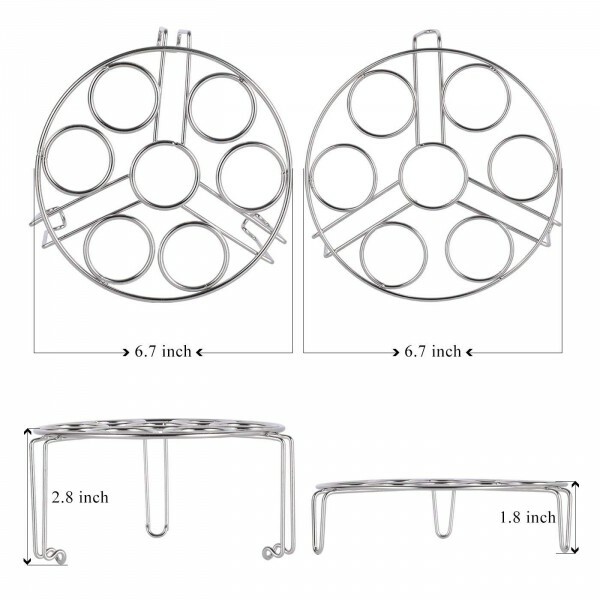 ★ SUITABKE SIZE - 6.7 inch diameter, great accessories for size 5/6/8 quart stovetop pressure cooker or electric pressure cooke, suitable for instant pot models IP-DUO50, IP-DUO60, IP-LUX60, IP-DUO80. 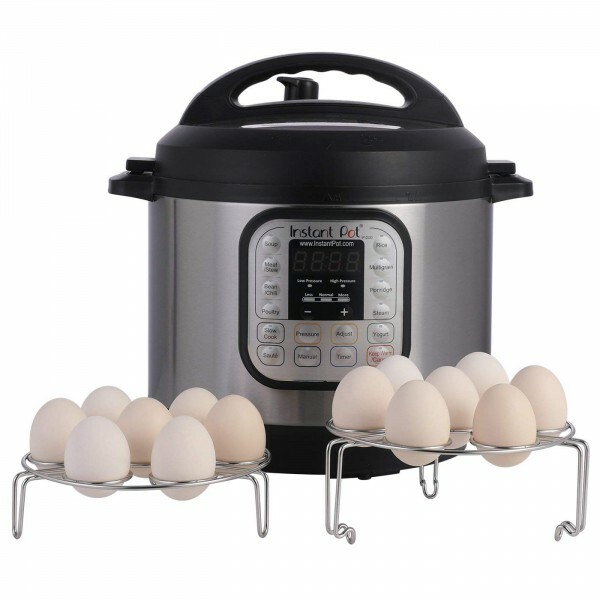 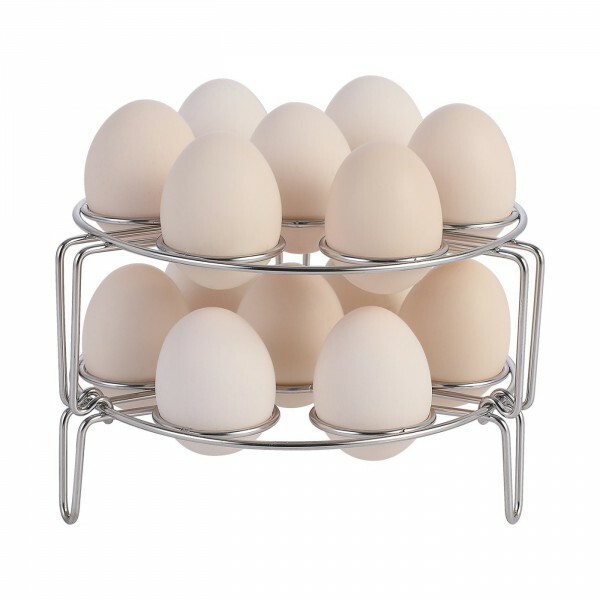 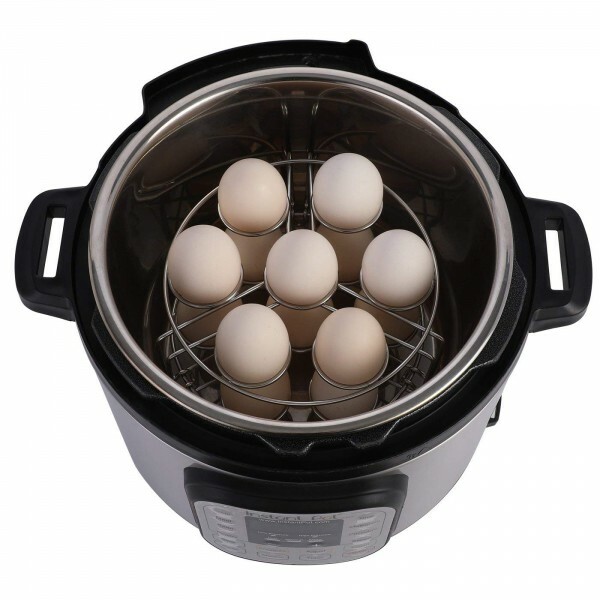 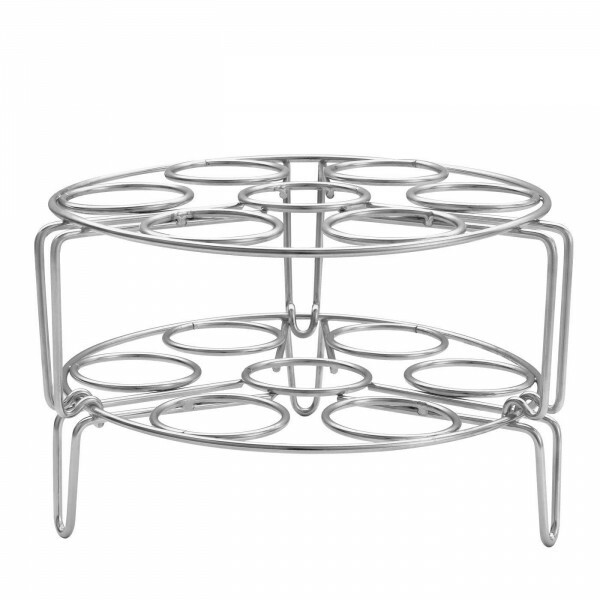 ★ FINELY DESIGNED - With stackable egg stand you can steam/make hard boiled 14 eggs one time in a few minutes. 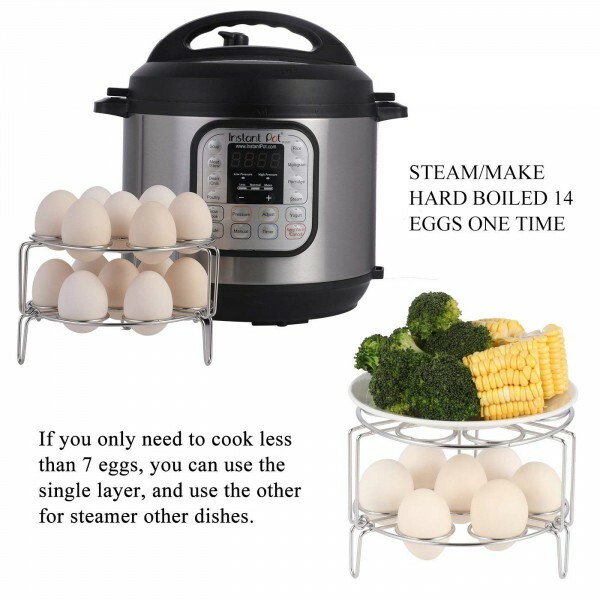 If you only need to cook less than 7 eggs, you can use the single layer, and use the other for steamer other dishes.